For a kale salad to be successful, use the most tender kale you can find and cut it into very thin filaments or chop it very finely (or both). Curly kale and Russian kale are more tender than black leaf kale. This is inspired by a wonderful salad I tried recently at the New York restaurant Northern Spy. 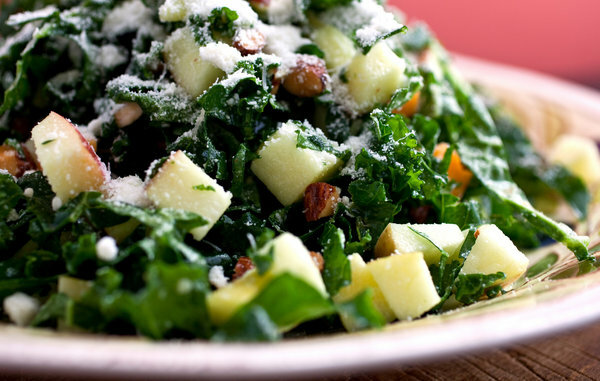 Featured in: Salads With Crunch, Sweetness And Zest.